People often ask me about my extraordinary levels of energy, balance, fluidity, strength, and deep grounding power. How can they get a piece of this “good stuff”, they want to know? They too desire to feel vibrant, supple, upbeat, magnetic, flexible and calm…but what does it take to get there? Of course, energy does not come at the flip of a switch. That’s how electricity works in your house, but not, unfortunately, in your body! In my case, high energy is the result of decades of rigorous daily practice of Qigong, Yoga, Tai Chi (as well as other special practices that most people have probably never even heard of). Students who study with me consistently feel their energy growing inside their bodies, like a wonderful garden, fragrant, and filled with delight. Perhaps they wonder, besides Qigong, what else can be done to increase one’s energy, balance and harmony, and to support one’s heart, brain, adrenal glands and digestion? Here is the simple answer: drink more tea. But not just any tea. The art of tea drinking is an ancient Taoist practice. In China, the home of tea cultivation, teas are highly prized, even revered by those who understand their amazing health properties. So what teas do I drink? 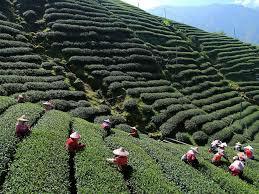 Actually, there are very many including special high mountain teas grown in pristine regions of China and Taiwan. Such teas vary considerably in the fermentation process that gives them their unique colors, exquisite taste, and health benefits. Most people have been taught that green tea is good for you. But they have never heard of the vast range of fermented and semi-fermented teas, such as Puer, Tie Guan Yin, Bi Luo Chun, or Dong Ding, to name but a few. Did you know that green teas can also upset your digestive system, deplete your energy, and overstimulate you due to their high caffeine content? No, you probably didn’t, because these things are rarely known, or taught. Fermented teas (black, purple, red, golden, white, or golden green) are much kinder to the digestive system. The prized purple leaf Puer from Yunnan province is a superb medicine for any kind of digestive disturbance, besides being delicious and beautiful…. However, there is one tea I am going to strongly recommend to everybody in this post. Actually, it is not really brewed from tea leaves, but from the leaves and stems of a plant called Gynostemma Pentaphyllum. No, this is not green tea. It is Gynostemma, known in China as Jiaogulan. Why is Gynostemma called the Tea of Immortality? A Chinese government census found that the areas in Southern China where Gynostemma is cultivated and drunk daily had the highest proportion of centenarians in the country. Also called Miracle Grass, Gynostemma has long been recognized in China for its ability to lower blood pressure and unhealthy levels of cholesterol, increase stamina and endurance, boost the immune system, assist with weight loss, and regulate elevated blood sugar. Since it is an adaptogen, it assists the adrenal glands in modulating the body’s innate stress responses. It therefore works to balance the entire endocrine system, assists memory and even strengthens the roots of the hair, preventing hair loss (which commonly occurs through hormone imbalances and stress combined). 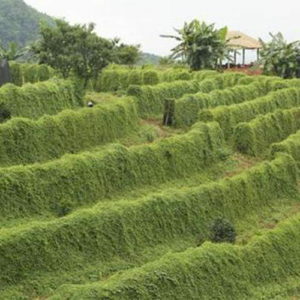 It grows wild in unpolluted mountainous areas, absorbing pristine sunlight and elevated air. 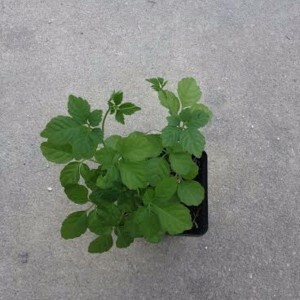 It is filled with gypenosides, one of the active chemicals found in Panax Ginseng. Strongly antioxidant in nature, the gypenosides assist the body get rid of waste products, specifically by supporting phagocyte function (a special type of white blood cell). The activation of phagocytes in the blood then protect the vascular endothelium from damage by toxins. Chinese researchers at Tangdu Hospital have demonstrated a protective effect against Parkinson’s disease by Jiaogulan by its ability to increase two key intracellular antioxidants (SOD and Glutathione) in the substantia nigra. The gypenosides are also currently being studied in cancer research. Early results appear to indicate that Gynostemma induces activation of p53, a tumor suppression gene. Of course, before taking any herbal medicine, even a tea, you should be check with a knowledgeable herbalist. Since Gynostemma lowers insulin resistance and blood pressure whilst enhancing blood flow, you should obviously inform your doctor if you are taking any diabetic, anti-hypertensive or anti-hypercoagulant medications. As always, these posts are for educational and informational purposes only, and are not in any way intended to be a substitute for consulting with a licensed medical professional in the event of a health concern you may be having. To get the best results, it is imperative to consult with a qualified medical professional, or herbal expert, and not to self-diagnose or self-prescribe. Please be wise and careful in your decision making! 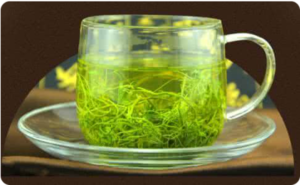 Gynostemma tea has a very pleasant flavor and balanced energy, so it is appropriate for almost everyone. It is both sweet and slightly bitter. 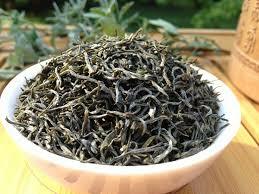 Its thermal properties are slightly warming (whereas green tea is cooling, which, as I said, can weaken digestion). It supports both Yin and Yang in a cooperative manner, thus assisting with homeostasis, hormone equilibrium, stamina, and overall wellbeing. To your vibrant health and vitality!